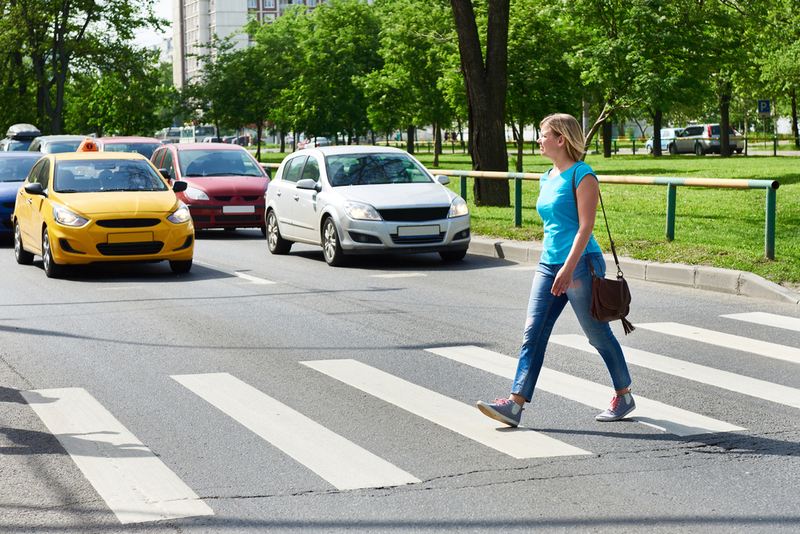 Nearly one-third of motor vehicle accidents are the result of one motorist failing to yield to another, or to a pedestrian. The consequences include damage to vehicles, injuries, and even death. If everyone simply followed the right-of-way laws, there would be far less harm to people and property. It is vitally important to drive defensively and know when to yield. The laws are there for your protection, so learn them and observe them. At uncontrolled “T” intersections, the vehicle on the continuing street must be given right of way by the vehicles on the terminating street. At four-way stops, the first vehicle stopped is the first vehicle to proceed. If a vehicle moves out of turn, yield to it so that an accident can be avoided. Pedestrians in crosswalks, whether marked or unmarked, must be given the right of way. Any pedestrian accompanied by a guide dog or carrying a white cane must be given the right of way at all times. When crossing or entering a roadway from a driveway, you must yield to traffic that is in the roadway. If you are turning left, you must yield to traffic already in the road. If two vehicles get to an intersection, and there is doubt as to who got there first, the vehicle on the right must be given the right of way. Emergency vehicles invariably have the right of way when their blue, red or white lights are flashing and they are using their siren. If you are in an intersection, do not stop – clear the intersection and then pull over. In a roundabout, if there is more than one lane, then you must use the left lane for left turns, the right lane for right turns, and all lanes to proceed through unless the signs or markings indicate otherwise. Yield to pedestrians and cyclists, and to traffic already in the roundabout. Do not pass trucks – they need all the room they can get. You might be surprised to know that “right of way” is actually not a right – you do not have right of way under the law. You only have right of way when it is yielded to you. What this means is that you can never approach an intersection thinking that you have the right to pass unimpeded if there is other traffic present. You are required to drive in a manner that will prevent the likelihood of an accident, so you have to wait until you are sure that the right of way has been yielded to you. If you fail to yield right of way in North Dakota, you will be assessed 2 penalty points, and be subjected to a fine of $50.